It's important to for kids (and adults) get outside and be active, especially in these days of computers, games consoles and televisions. The shops below have some cool toys that will make getting exercise fun. Coolthings – Based in Launceston, Tasmania with delivery Australia wide. 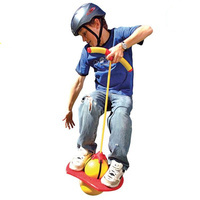 Cool gadgets and gizmos of all sorts, including outdoor toys. Yogee Toys is a Sydney-based online toys store with a huge range of stock from many of the major brands. Orders that are fully paid before 1PM Sydney time are dispatched from their Seven Hills warehouse on the same day.